On a hedge, on a stage. Great to see the rallying back in Galway. Pleased that Breen got the win, and good to see Fisher so close to him after such a long layoff. Saw some of the live coverage yesterday, seemed good enough alright and a proper buzz around about the championship again. 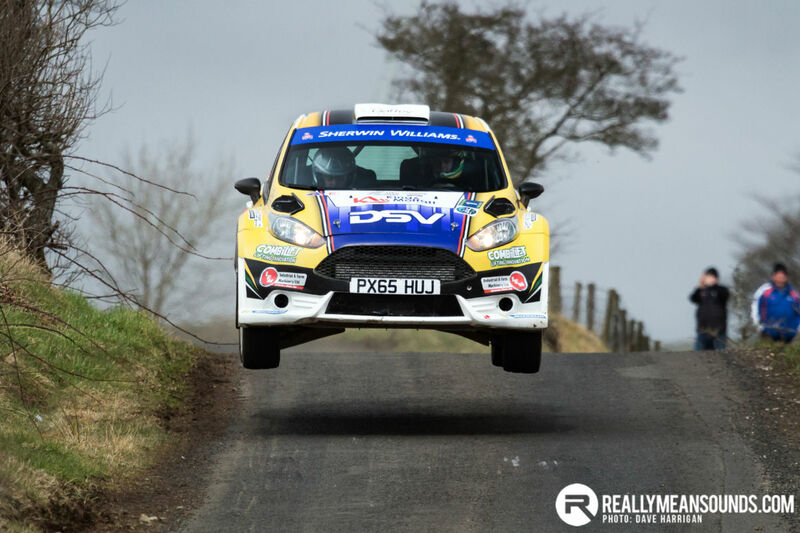 See Andy Davies won group n fairly convincingly after winning the Welsh road rally championship last year. where can you watch it live FM155? Got back at around 2am last night, brilliant rally. Seriously muddy with loads of standing water, typical Galway. Breen was made to work hard, the pace was serious at the top. I think he got a wake up call when he was only 5th fastest through the first stage. Ali Fisher in particular was absolutely on it from the very start. I was on a 4 right over crest about half way into the first stage and he took a full WRC style cut. Seriously impressive. Jon Armstrong was rapid too, especially for a man that hasn’t sat in a rally car for 2 years. And Ray Breens 6r4....just wow. I think I seen on facebook last night that Breen is registered for the championship. Hope that means we will see him out again on a few more rounds. I suppose until something else comes to fruition, it keeps his hand in. Surprised that he doesn't have a test / development contract with one of the wrc teams. Madness that he can’t get into one of M-Sport’s cars. Currently much better than either Suninen or Evans.